Though it's situated in a neighborhood full of mini-mansions and Neo-Tudor style buildings, Dani's luckily won't break the bank with the price of a slice. Just grab a stool at the counter and wait for your slice to come up, hot and piping. As you let the steam rise, you can't help but notice the beer selection directly in front of you: 23 domestic, 19 imported. 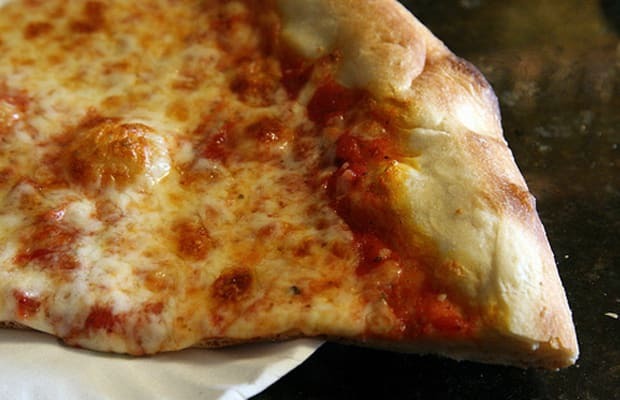 Dani's is known for their sweet sauce and slightly crispy crust. We're especially in love with this spot for the late-night access. And just around the corner is the LIRR, so skip the diner after getting twisted in the city and get your fix here—at 4 a.m.